Start learning Hungarian in Lefkada Time Bank for free! A wonderful language in which everything is turned upside-down. 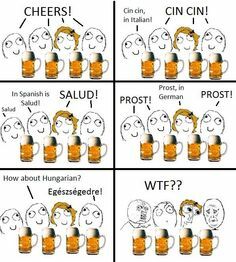 Being a non Indo-European language Hungarian is different from any others you’ve ever learnt. Challenge your mind with Angie, a native Hungarian speaker! Join us every Wednesday afternoon! We meet at 17:00 at Karavela street 12. You find our location here. You find more information about the lessons on our Facebook page. ⟵Greek cooking lessons for beginners!